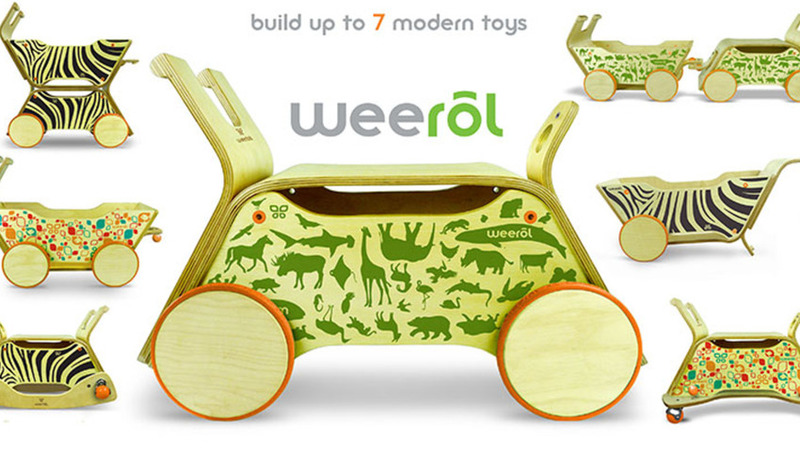 Weefab Toys is committed to creating innovative, active and elegantly simple toys that continually raise the bar on quality, safety and aesthetics. We believe that great design should not only enhance your child’s experience and development, but also be functional, sturdy and affordable. Constructed from renewable sources and non-toxic water based adhesives and paints, Weefab takes care to ensure all of it’s products have a low impact on the environment and promote a healthy, safe environment for your child as well.